This Apple Saffron Chutney is made with joy and generous amounts of fruit and fragrant spices. 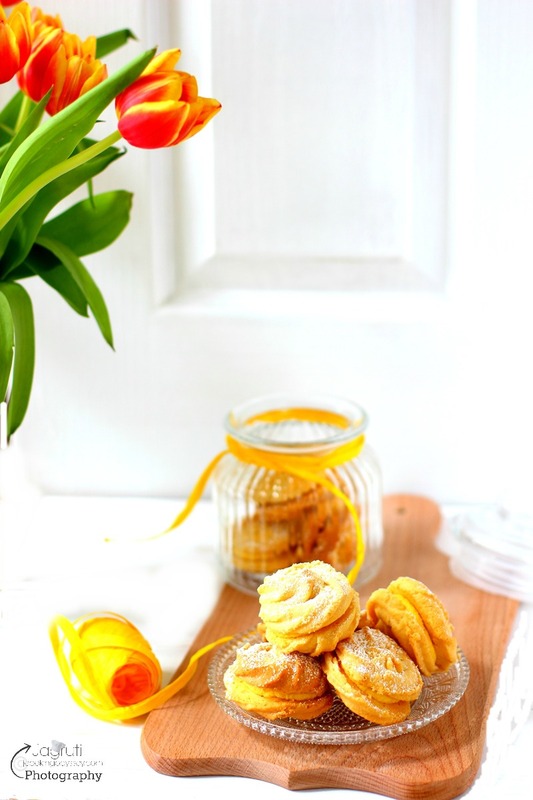 It is sweet with a little heat that is flavoured with saffron. 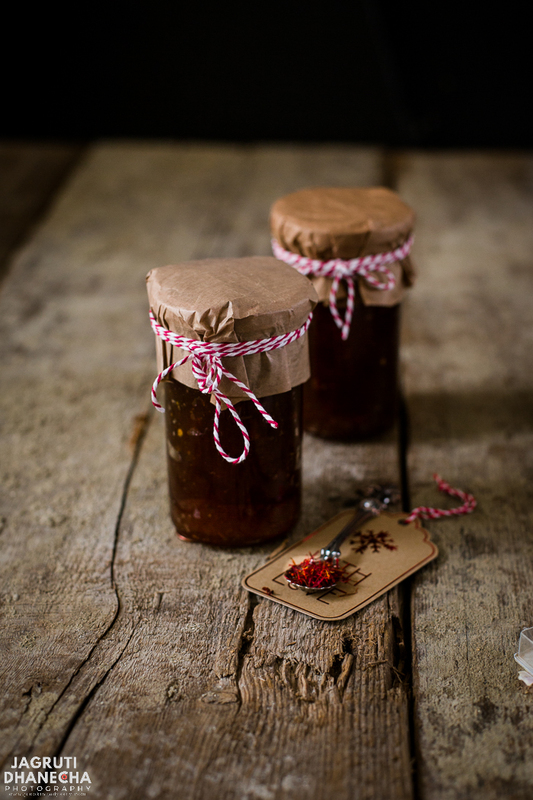 It is the perfect amalgamation of apple and saffron and would be great as an edible gift for Christmas. The best thing about it is that can be made in a very short time in Cosori electric pressure cooker. Autumn is the perfect time to use apples, which are fully in season. Other than using them in baking or juicing, why not turn them into a delicious and finger licking chutney. 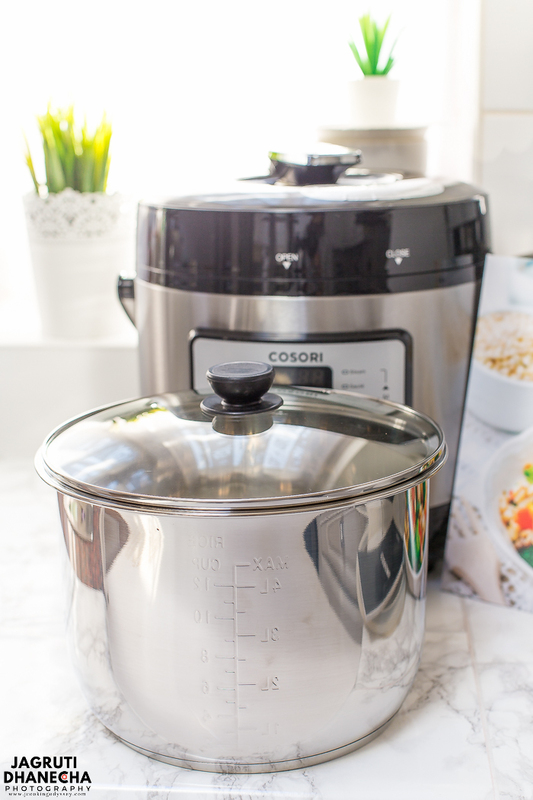 Recently Cosori was so generous to send me one of their pressure cookers, the Cosori 7-in-1 6Ltr. electric pressure cooker. Being a huge fan of pressure cookers, (as well as almost every Indian out there) I jumped at the chance as I own only stovetop pressure cookers, not the electric one and obviously I wanted to join the bandwagon. I was excited and curious about it. After a couple of email exchange, a delivery man delivered the parcel. Then to the best part - unboxing! 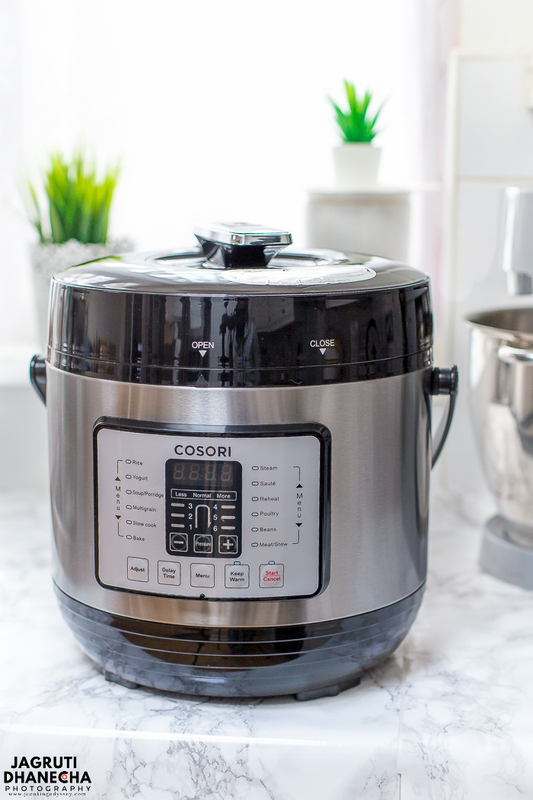 Cosori is my first ever electric pressure cooker, so I had no idea what to expect. When I opened the box, I was not disappointed at all. My first thought was how big the pressure cooker is! It's 6 litres and has such a gorgeous finish. However, it is still sturdy and an obviously well made device that can really jazz up your kitchen worktop. This cooker can cook dinner for a family of 3 to 6 easily. The main appliance Cosori pressure cooker with dishwasher safe food-grade stainless steel (18/8) inner pot and comes with a well explained manual book in English, with other languages too. Accessories include, a bonus glass steam vented lid; stainless steel steam rack; ladle; rice spoon; measuring cup; a basic recipe book; 3PIN UK main power cable and extra silicon sealing ring. A water collection cup came already attached to the cooker. All the extra accessories are also dishwasher safe. 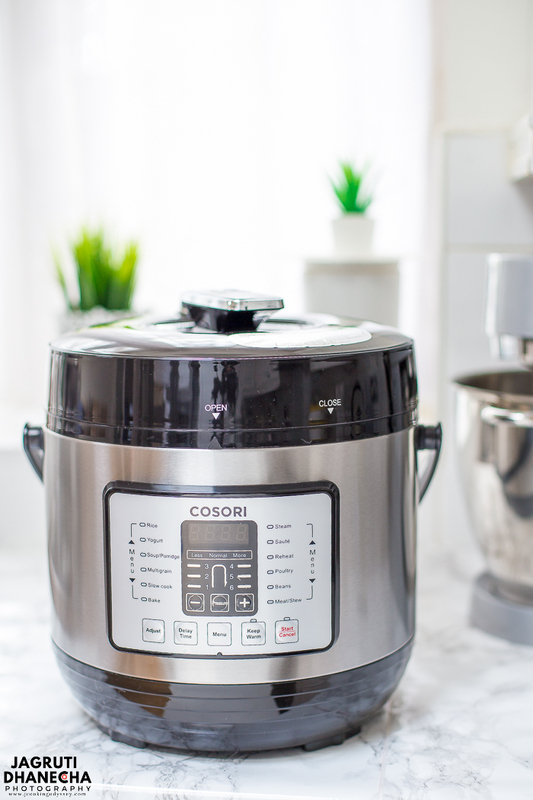 The Cosori 7-in-1 pressure cooker is designed for multifunctional daily cooking, It is a single electric appliance that replaces 7 common kitchen devices. How impressive is that? A device that saves you time, energy and space! As I mentioned, I had never used an electric pressure cooker it took me a little time to how to figure out this device. To make sure I understood everything right, asked for hubby's help too. 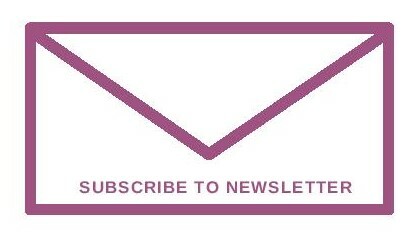 It is actually user-friendly and foolproof once you get over all of the buttons. Also, it comes with easy touch LED 13 micro processor controlled programmes such as Rice, Yogurt, Soup, Porridge (Congee), Multigrain, Slow Cook, Bake, Steam, Sauté, Reheat, Poultry, Beans, Meat/Stew, Keep Warm to cook in ease and comfort. These are so easy to select and once selected clearly can be seen on the panel. With these build micro computer chip, whatever you choose will cook precisely without overcooking. Once the food is cooked, automatically the keep Warm mode buttons come on up to 24 hours. You can set 24 hours delay time. Cosori comes with 6 adjustable pressure levels in a single innovative machine to provide the best taste and retain the most nutrients. I love their unique pressure release button which quickly expels pressure to protect your hands from hot steam. Also this well made and sturdy button can be used as the open and close handle too. It also has well-built side handle, which makes so easier to lift the cooker. The stainless steel inner pot is heavy bottomed with 3 ply stainless steel and aluminium base and over 40 grooves along the pot bottom for even heat distribution meaning 75% faster cooking time. This pot comes with NO CHEMICAL coating. The lid is specially designed for a easy open, no matter whether you are right or left handed. My daughter is excited about this as she is a lefty and is always moaning when certain appliances are only right-handed friendly. Also, the lid is removable so it can be cleaned thoroughly. Cosori is designed with safety in mind. There are 9 Safety Mechanisms Ensure Safe Operation for Daily Use. 1. Lid Lock Safety - prevents the lid from being opened while the cooker is pressurised. 2. Anti-Clog Protection - keeps food particles from blocking the pressure release valve. 3. Pressure Limiter - ensures pressure is kept within safe operating levels. 4. Temperature Controller - ensures food is evenly cooked, but not burned. 5. Excess Temperature Monitor - cuts power to temperature fuse if internal temperature exceeds safety limits. 6. Excessive Pressure Protection - internally releases pressure to avoid hazardous situations. 7. Pressure Auto-Control Guard - always keeps pressure in a safe range. 8. Electrical Current Monitor - automatically turns off pressure cooker if the current exceeds safe operational levels. 9. 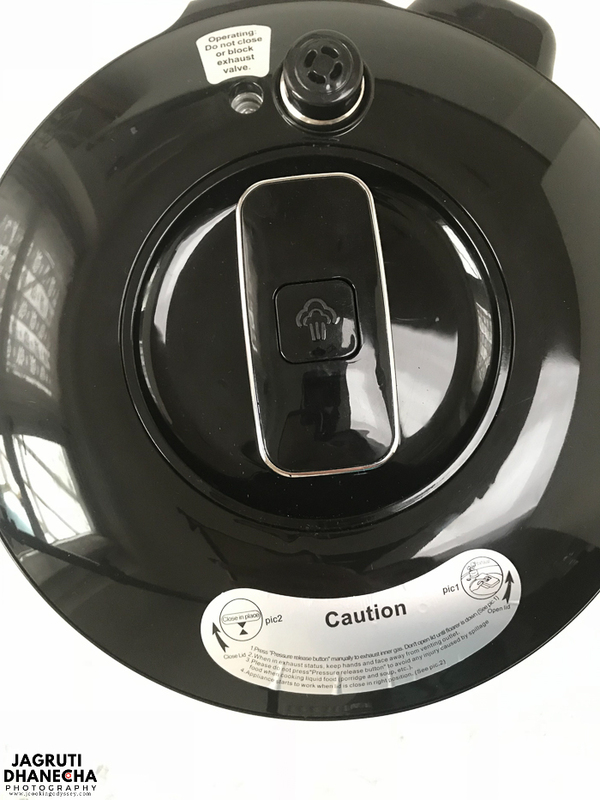 Lid Position Monitor - prevents the pressure cooker from operating if the lid is improperly positioned. 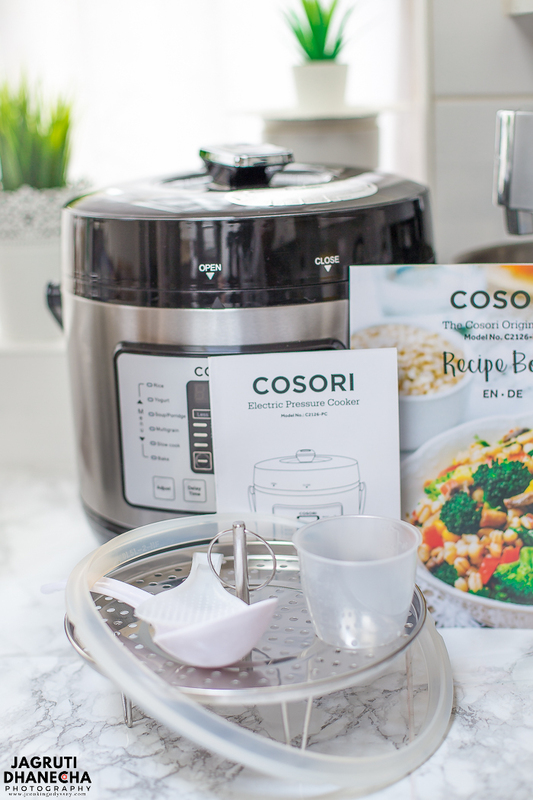 Since I have got my hands on Cosori pressure cooker, the more I use Cosori, the more I am having fun using it and hubby is taking great interest and making promises that one day he will cook some delicious dishes for me. Ah, a win-win situation for me! We have enjoyed making staple dishes like Plain Basmati rice (for that I had to make my own measurements and adjustments), Rajma and corn rice, Garlicy Moong Beans Curry and Thai Style Butter Nut Squash Soup, also have baked delectable sweet treat, so watch this space for the recipe! Since my last batch of Carrot, Tomato and Cardamom chutney was just about to finish, I had a perfect opportunity to try Apple Saffron Chutney in Cosori pressure cooker and oh boy, the result was splendid! The chutney cooked perfectly in less than normal time. I hardly had to do any slaving and stirring over the stove top, just dumped all the ingredients into the pressure cooker, set it on the programme and after 20 minutes (including sautéing) the chutney was ready without compromising on taste. I place all the ingredients in the pressure cooker. Close and locke the lid. Then press the MENU, and select the Soup-Porridge programme for 12 minutes. Also, you can set HIGH pressure and set time for 12 minutes too. Release the pressure using the quick release button. Unlock the lid and open it. Stir the chutney, select saute button and let the chutney thicken. Let it cool then remove from the pan. If you love cooking for friends and family, this magical appliance is definitely something you want to own. All in one, saves time and energy and space too. The Cosori performs really well and rose to every challenge. The impressive gadget is making my kitchen worktop more beautiful. Christmas is just around the corner, give a hint to Santa or become Santa yourself and put it on the list for your loved ones! Along with Cosori pressure cooker, how about gifting this amazingly delicious vegan and finger licking chutney that comes together in no time with minimal ingredients and leaves you extra time to spare. 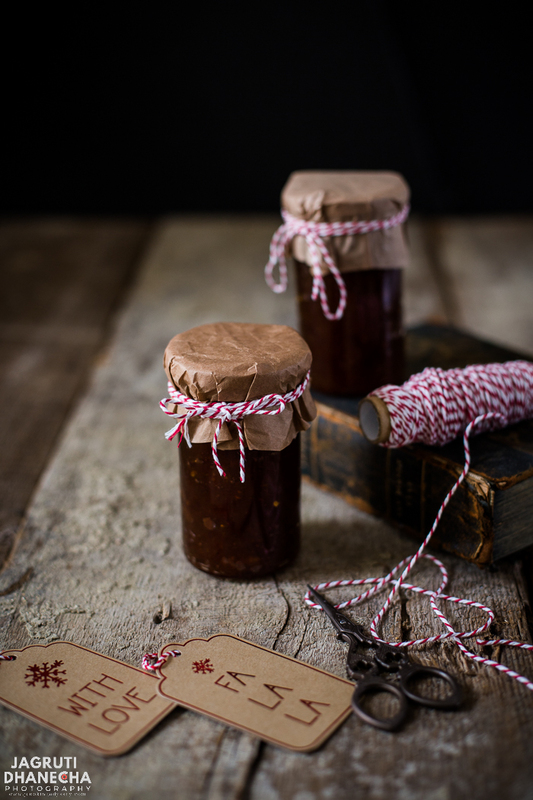 This enticing and distinctive chutney is perfect to enjoy at any time of the day. This delicious and vegan Apple Saffron chutney seasoned with saffron and cinnamon and cinnamon. It is easy and so simple to make in electric pressure cooker! 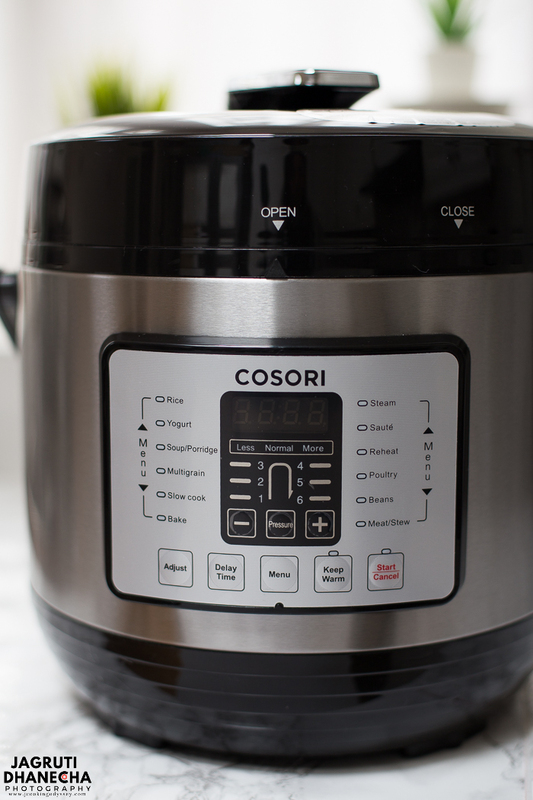 Place all the ingredients in a COSORI pressure cooker. Select Menu-Soup and Porridge then select 12 minutes. Allow 8-10 minutes for the pressure to build same as we do for stovetop pressure cooker. Release the pressure using the quick release method ( button ). Press the saute button, and cook the chutney further for 10 minutes or until it gets little thicker. Turn off the device and let the chutney cool completely. To keep for a longer period, keep it in a cool dark place. Once opened keep it in a refrigerator and use it in a couple of weeks. Disclaimer - Thank you COSORI for sending us Cosori 7-in-1 electric pressure cooker. I was sent this product for an unbiased review and not told or paid to write a positive review. All opinions are my own. I have an electric pressure cooker too and I love it. I also love chutney and didn't even think about making it in the pressure cooker! Thank you so much for the recipe! Thank you Pam. You'll be so pleased with the results if you do make it in the electric pressure cooker. This is such a great idea, making chutney in a pressure cooker, and the apple and saffron flavour combination sounds dreamy! Yum! I have a regular stove top pressure cooker. I will make it work for this recipe. What an awesome food gift to take to the holiday parties. The host/hostess would love it. This is so special and would be the perfect addition to any cheese board and would also go really well with a Christmas Morning Grilled Cheese! I will save the recipe and make some for me and some as gifts! 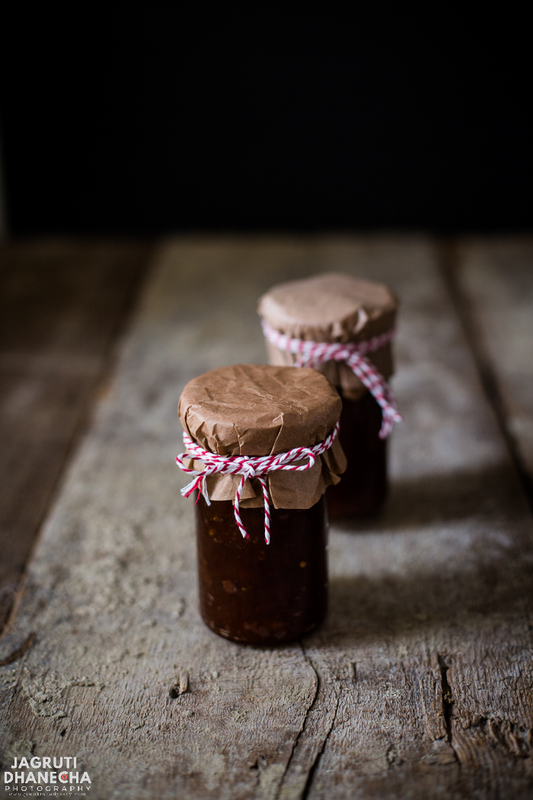 I made apple chutney years ago, but this one looks even better. Easier, too, with the pressure cooker - I definitely remember long simmering! What a great idea! We love chutney and I would be so appreciative if someone gave me this chutney as a gift!! Adore food gifts!! It's a way to sample something a little different that someone else made. Now, I don't have a pressure cook but I'm going to try to adapt your recipe to regular stove top. I really like your apple spice combination. Oh wow this chutney sounds wonderful! It looks so good too! I would love to try this...I've never had saffron believe or not but I think its a wonderful idea to combine with apples! 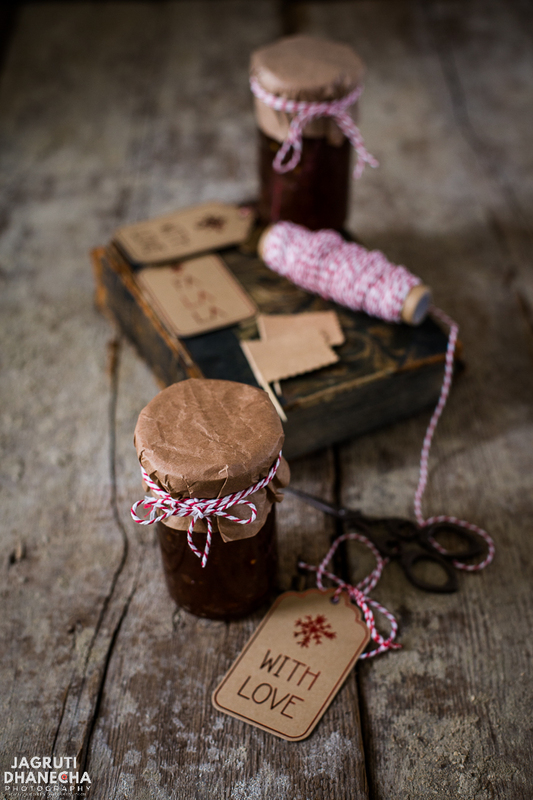 Chutney looks so wonderful, perfect for the festive spread. What a great holiday food gift. Such beautiful presentation! It never would have occurred to me to try to make chutney in mine. Is there anything it can't do? !